My technology tip is the site called Wordle. It is a fun site that can be used many different ways. With primary students it’s a way to add a tech connection to word lists. For older students, it can be used for making vocabulary lists in a fun way or use it to make the cover of your next project. Here’s a direction sheet you can use. It is part of my Groovy Phonics lesson units that I recently added to my TPT stores. One packet is aligned with 1st graded Common Core standards and the other packet is aligned with 2nd grade Common Core standards. I am linking up with Farley @ Oh ! Boy Fourth Grade for her April linky party. 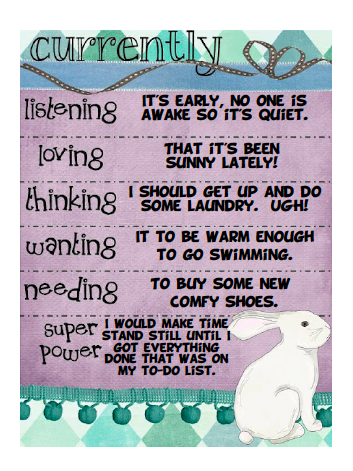 I am linking up with Fern @ Fern Smith’s Classroom Ideas linky party. Click on the picture below to find some great tech tips. YOU'RE IT…You've been tagged. Head over to my blog to find why and what you need to do next. Thanks for visiting. I will visit your blogs, too.